One for the tactical crowd, this often tense shooter demands perfectionism… then doesn’t provide it itself. 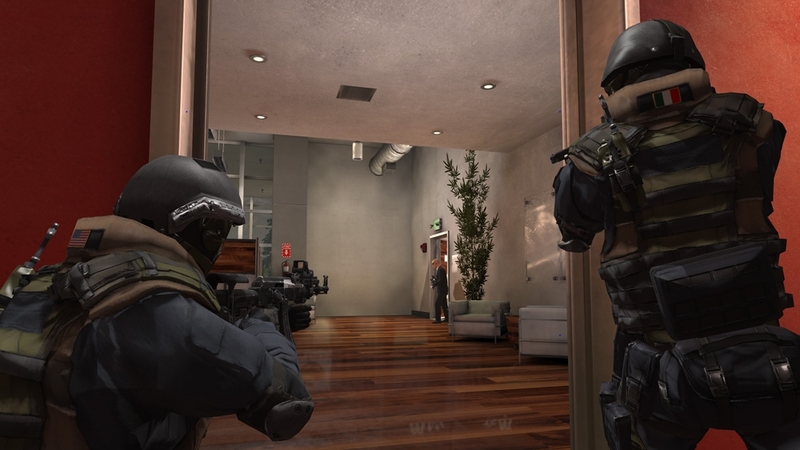 Takedown looks aged and decrepit, although visuals are not essential to the genre. Enemy AI is randomized to continue pumping new challenge into the fray, if never particularly logical. Foes turned around mid-combat to stare at walls. Purposefully sluggish movement is meant to instill a sense of realism and instead comes across as a failed simulation. Multiplayer is a bright spot for those who can lure their friends in to become strategically embedded together, but otherwise Takedown is best put down.